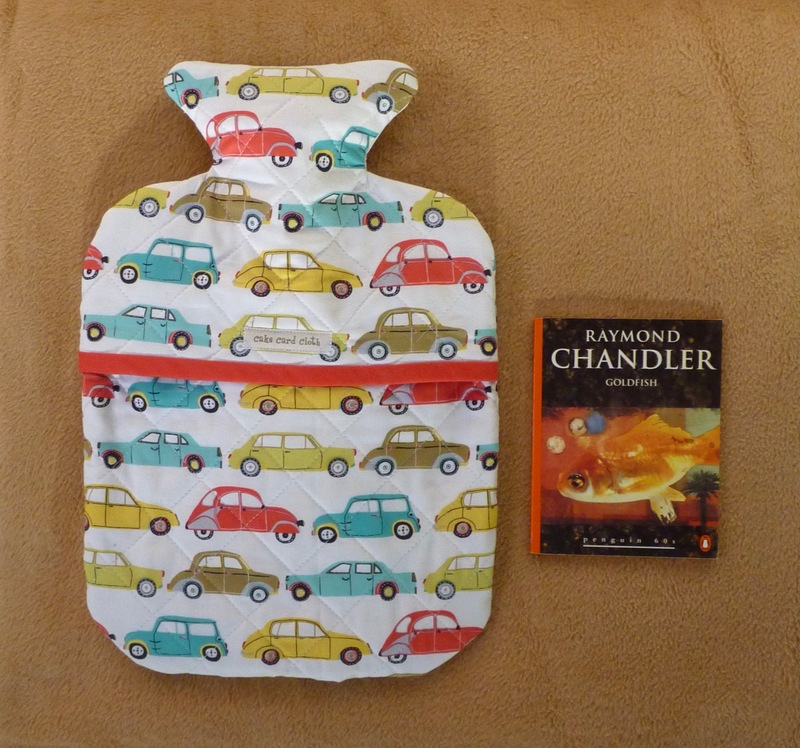 Colourful car patterned hot water bottle cover. Lined with a co-ordinating teal spot fabric. Padded with 100% cotton wadding to make this hottie cover warm and cosy. All materials are 100% cotton quilting fabrics.